Posted on July 25, 2015 by Matt Frazier / This entry was posted in Informative and tagged brooklyn, bushwick brooklyn, dabbers, dabbing, headshop, how to dab, nyc headshop, nyc smoke shop, smoke shop, vape, vaporizing. Bookmark the permalink. and if you answered “yes” to the above question, we’ve got everything you need and everything you need to know about how to dab. But before we get all willy-nilly and set you up with your rad new dabbing rig, let’s talk about how to dab and go over some basic information regarding all of the necessary accoutrements (a fancy word for accessories). What the heck are “dabs”? Doing a “Dab” is the slang-word for taking a hit of an extremely high concentrated wax or oil form of a substance. While the concept of concentrated wax or oil has been around for decades (and probably much longer), today glass and vaporizing technology have revolutionized how we consume it. This smoking “renaissance” has made something once taboo more popular, versatile and accessible to the average person. Okay maybe we aren’t average… but dabbing is starting to become a house-hold term. Let’s have fun with it! Dab is very sticky and it helps to store it in non-stick container. 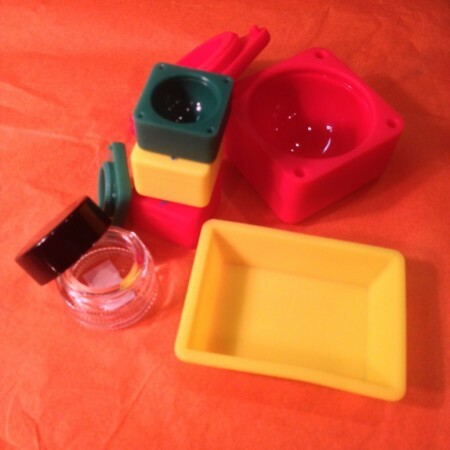 At Sunflower Pipes, we carry a variety of jars and containers to store your wax. Check out our non-stick 100% food grade silicon jars. These are totally essential if you are going to dab. Cut to the chase… how do I puff this stuff? 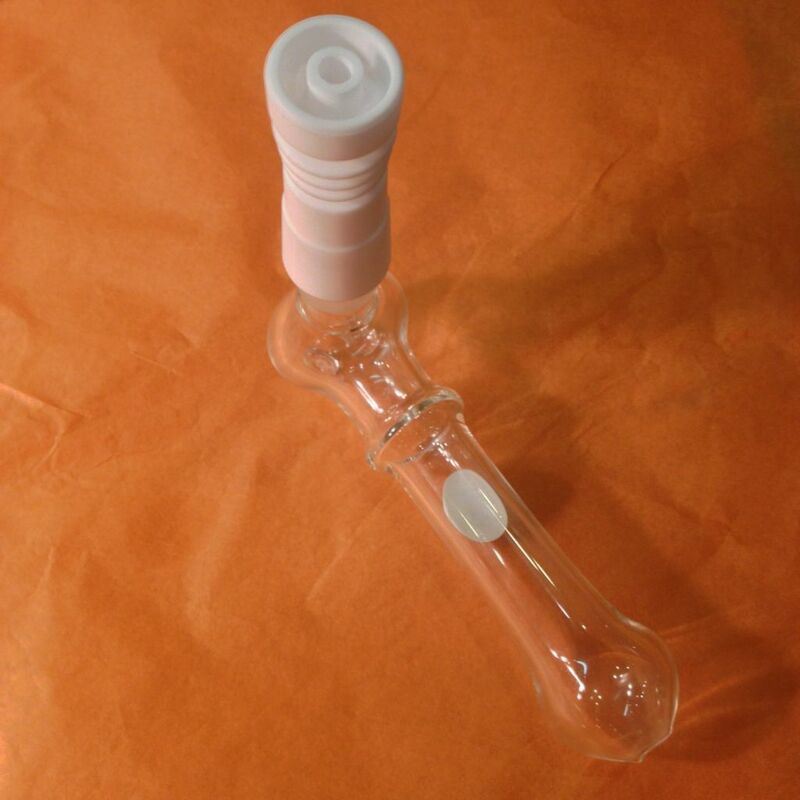 While there are many ways to puff concentrated wax or oil (for example with an electronic oil vaporizer pen), we will be exploring through this article how to use glass pipes for dabbing purposes. Generally speaking, most people do not “smoke” wax or oil, as it is most effective to vaporize it. At Sunflower Pipes, we offer many different vaporizing designs both electronic and glass (such as our large selection of oil rigs). For the sake of a basic tutorial, we are going to strip away all the bells and whistles so that you can see what dabbing looks like in a simple way that is easy to understand. Knowing the basics, ensures a good foundation for modifying around. When you’re done reading this article, and perhaps once you’ve dabbed a few times, we encourage you to read our “How to Dab – Pro Guide” article. What do you mean when you say “oil rig”? Here’s a picture of very simple oil rig. It’s basically a glass pipe that comes in 3 parts. You may even notice that it looks pretty similarly to a regular herbal pipe… but what’s that?? There’s no bowl! Where does the stuff go? Where am I?? Hush now child we will quell all your confusion. You will notice in the picture above that there are 3 fundamental glass parts to this dabbing rig. The Pipe – this can come in any shape, size and form but for the purpose of this guide we are using just a basic pipe, no water involved or nothin’. The Glass Nail – these can come in different sizes depending on the size of the opening. 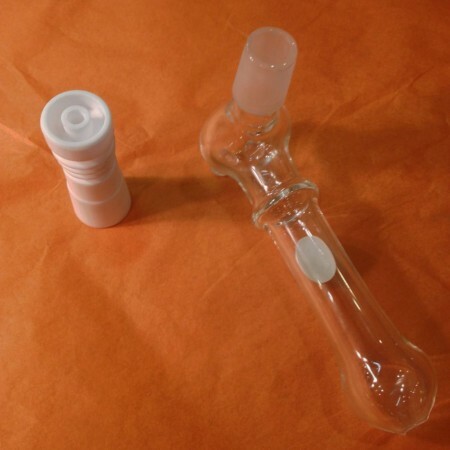 The Glass Dome – this is used for keeping the vapor contained as you take a pull from the other end. Without this, the vapor would just float off into the sunset. Tragic… and yet beautiful. In Fig. 1, you will notice all three main parts of an oil rig are displayed on our magical orange surface. Exciting. But wait, Fig. 2 we move the small glass dabbing nail to the opening. Alright. Not so tricky. Lastly, Fig. 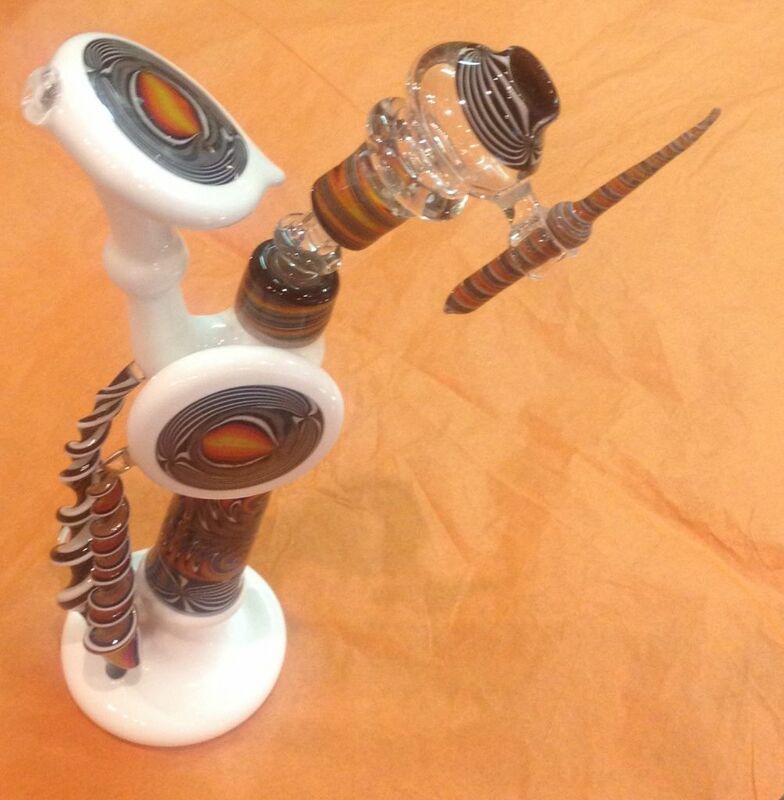 3 you will notice that the glass dome is placed over the nail, completing the dab rig. Pretty simple. HOWEVER you will need a “dabber” to apply the wax. The picture below shows different styles of wax dabbers. Just click the button with your thumb, and out comes flame… beautiful, unforgiving flame. This is the part where I remind you that dabbing and tobacco use is for adults… so keep all of this stuff away from kids. 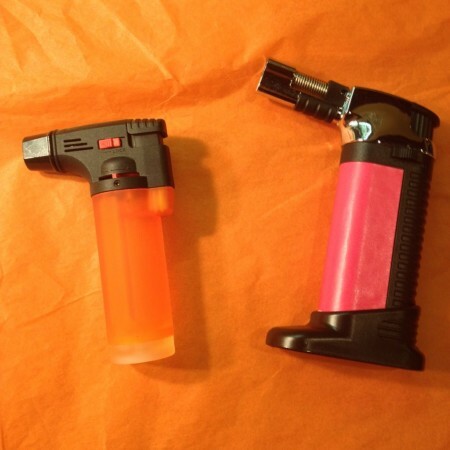 It’s a torch so you need to realize how dangerous it can be if not handled properly. Otherwise, these little torches are simply and convenient, and great on the go. We sell the butane so that once you run out, just stop by our store and we will find the best butane for your price range. 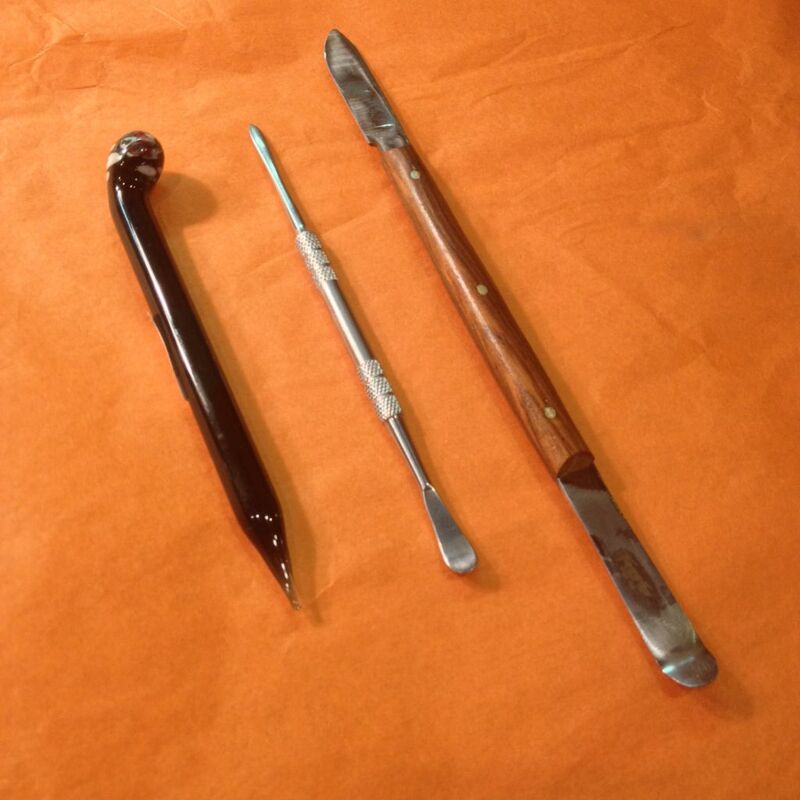 Okay, I’ve got the wax, the dabber, the torch, the nail, the dome, the pipe… now what? 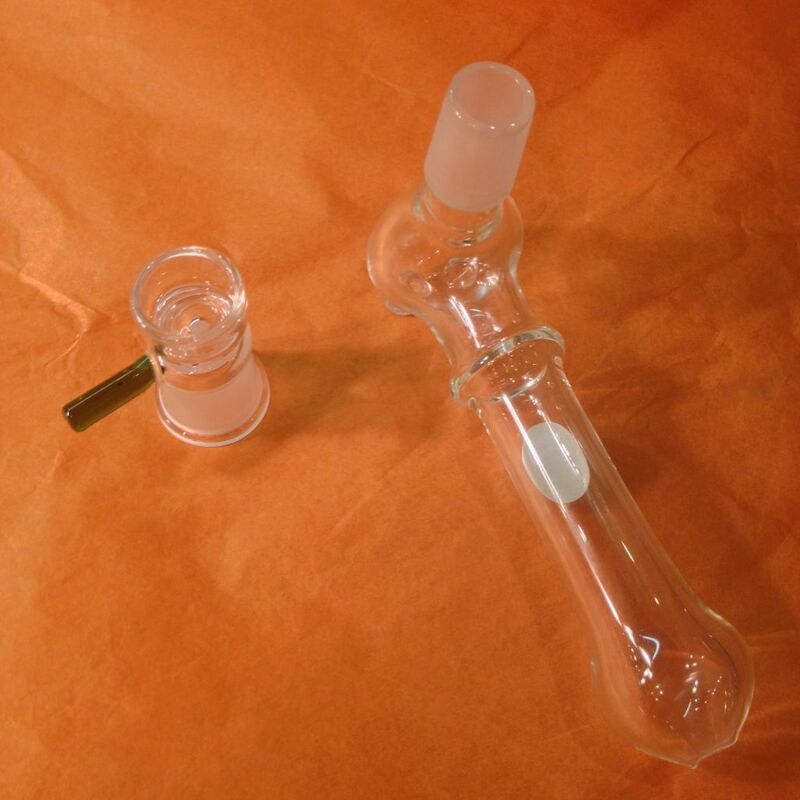 Place the glass nail in the pipe – make sure it sits comfortably without falling into the pipe, and that the dome will fit onto the pipe with the nail BEFORE you proceed any further. 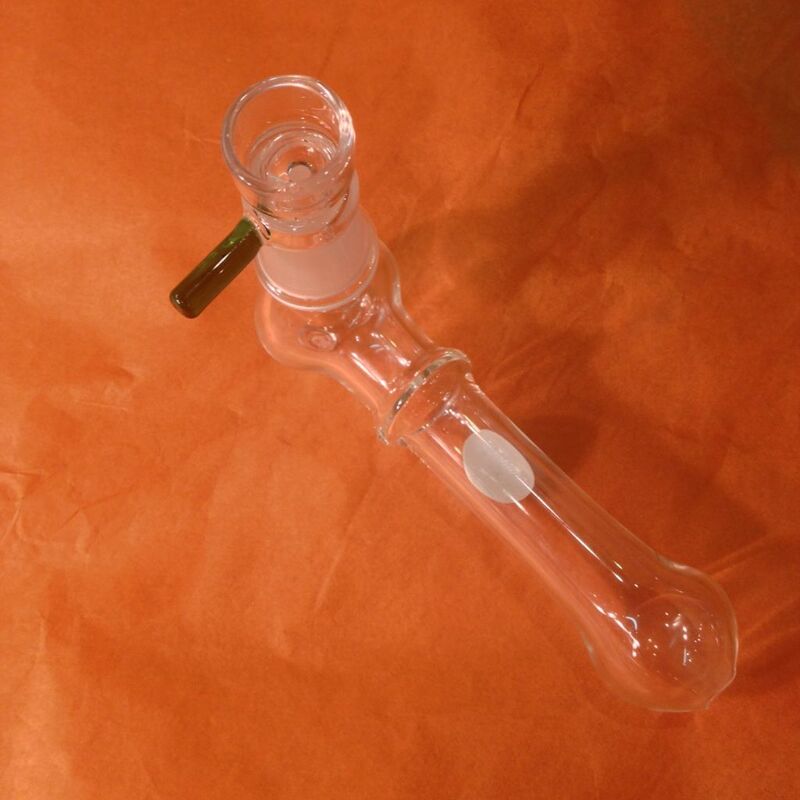 Heat that sucker up – use the mini torch (or any size torch) to heat the glass nail as it rests in the pipe. Remember not to touch the nail and make sure not to burn your hand. Be attentive. This is probably the most dangerous step. Once the glass nail is red hot (yes literally, orange/red color) it’s time to dab. Don’t forget to turn the torch off!!! Pick up the pipe – carefully – and touch the wax wad to the hot nail … now take a rip (inhale through the other end of the pipe)! The hot nail just vaporized your wax. Depending on the wax and the pipe, this vapor can hit smoother and with a higher concentration than smoking this stuff the old fashion way. Way to go sport – you just did a dab. Now that your mind has been blown, take your time resting the pipe on the table or surface… because the nail is probably still hot. Always use caution when doing a dab. A true friend will apply the wax to the hot nail so you can focus on getting blitz’d. Just take the time to make sure you can return the favor after your first toke. But it’s not over… no no we are far from over. If you enjoyed that, it may be worth it to continue reading this guide, as there are many nuances to dabbing that can enhance your experience. Oil rigs come in many different designs, we simply showed you one basic design. The guide will continue by showing you a couple other basic ways of dabbing that people may choose over what we just showed you. TEST TIME: Now that you’ve taken a dab, here’s a test. Take a look at the photo below and figure out how this oil rig functions just by looking at it. Hint: it’s essentially the same design, only you can put water in it. I don’t like having a loose, hot nail sitting in my pipe… are there any other ways to dab that are simple? Yes. Now don’t hate me for this for not showing you sooner… but there are ways to dab with fewer moving parts! I chose the glass nail-dome-pipe rig to give you a basic understanding of how a rig functions. This is good because introducing more ways of dabbing will be easier to understand now. Let’s start by showing you what is called a “dome-less glass nail”. This is a funny combination of the nail and the dome in the sense that you use it like a nail, but it sits on the pipe like a dome. Don’t let the word “dome-less” confuse you… as you can see by the pictures, it doesn’t require a round glass dome over it to keep the smoke it because it has a hole! 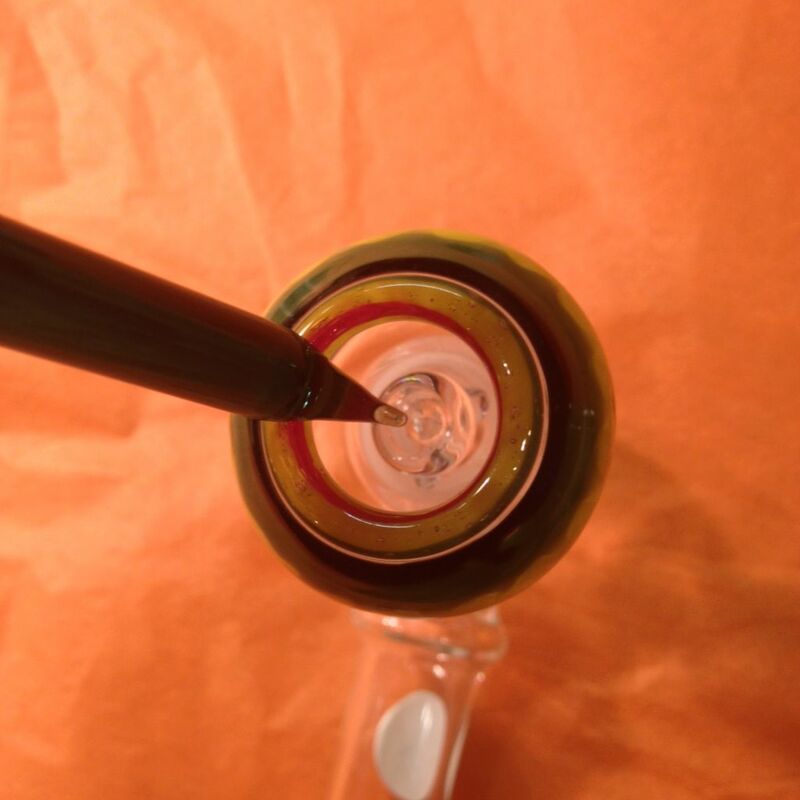 Just like the nail, you heat the top where the hole to the pipes leads, and once it’s red hot… touch (or “dab”) the wax to the glass and take a hit! It works just like the first pipe we showed you with 3 parts, only this one has everything in one unit! Amazing! Dawg… I keep breaking my glass nail! Is there anything more durable? You numb skull, you! You’re in luck because you can take the same concept that I just showed you, and apply it to ceramic or titanium! Both of these will be a bit more durable than glass, titanium being the most durable. However the titanium is a little more advanced and will be covered in our “How to Dab – Pro Guide”. For now, let’s talk about ceramic. This is what we call a “dome-less ceramic nail”. It is exactly what it sounds like: it doesn’t require a dome (glass or otherwise); it functions as a nail (similar to the glass nail above); it’s made out of white ceramic material. This concludes the “How to Dab – Beginners Guide”. For good measure, here’s one last re-cap of what we’ve learned. Dabbing is vaporizing the potent, waxy concentrates of magical plants. 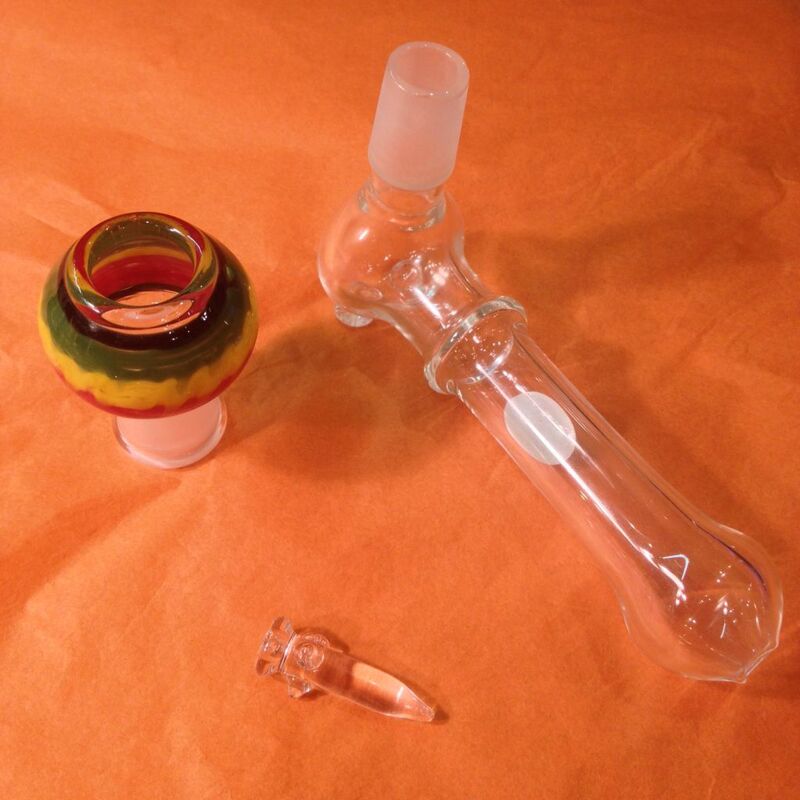 There are 3 essential parts to a basic oil rig: glass dome; glass nail; glass pipe. You will also need: wax/oil; 100% food grade silicon non-stick container; a wax dabber; and a torch. Heat the nail with the torch and carefully apply the wax with the dabber as you inhale. You can also dab with a glass dome-less nail or ceramic dome-less nail.